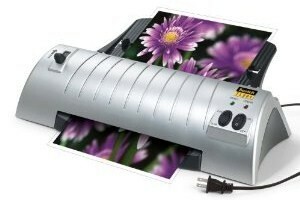 Scotch Thermal Laminator only $16.99! Today Only! Today's Amazon Lightening deal features a Scotch Thermal Laminator for only $16.99! This has a list price of $80.49, and the regular Amazon price is $29.94, giving you a savings of 79%! This laminator has great reviews!